In the world of rock and roll -- and professional music making in general, for that matter -- for every superstar success story, there are probably a hundred gut wrenching stories of failure and disappointment. Not all of them are related to substance abuses and the freewheeling rock 'n roll lifestyle either. Many are simply victims of the star making machinery which, especially in those wild west early days before fancy tour buses and Internet connectivity, could be disastrous if not expertly planned and executed. So, after The Beatles seemingly sudden appearance on the music scene in 1964, a bazillion bands were launched, every one of them saying: "I can do that!" Some were great and achieved relative levels of success. Others, not so much. All were pursuing that superstar dream with ever-dwindling returns for the most part until they figured out how to carve their own unique path. Cheap Trick and ELO come to mind as groups that did especially well, establishing a long term career in the face of every possible adversity. 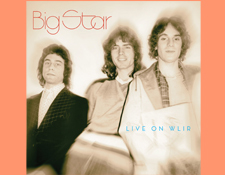 Big Star is one of the legendary music industry casualties, a group which had everything going for it at its core .... great songs.... killer band... access to a superb recording studio... critical acclaim even. They just didn't have the adequate management or a record label with solid distribution. Those missing puzzle pieces are part of what ultimately began to tear the group apart. And this is where we enter our story for this review of a first time official vinyl issue of a legendary radio concert: Big Star Live On WLIR. At my side is God"
That said, to best appreciate Big Star Live On WLIR, the first thing you really need to do is skip the beginning of the show (effectively a rocking soundcheck) and jump to the acoustic performances. There you will get a great sense of the heartbreak in guitarist and main songwriter Alex Chilton. Radio Host: "You're getting an awful lot of critical acclaim for your new album. It's really good!" Alex: "Yeah, its... uh... nice. I hope it sells. We've had critical acclaim before." Then take in Alex's solo rendition of "The Ballad of El Goodo" in that context. It is pretty magnificent and despite all that was going on in the background for him and the band, they were true professionals who delivered. By then, Chilton was already a seasoned pro who had been playing since his teens when he had his first hit (and taste of fame) as the lead singer of The Box Tops and their smash hit "The Letter." Ain't no one goin' turn me 'round"
Twenty-five years ago the first CD-only label called Rykodisc released this oft-bootlegged radio concert officially (then simply called Big Star Live); that CD still sounds really good all things considered. This new CD update is a bit louder and maybe even a bit rawer. It also seems to have some more of the chit-chat in place from the original recording as broadcast on WLIR-FM in New York/Long Island in 1974. There are fresh liner notes from Robert Gordon (who wrote them for the Ryko CD as well). Big Star did not tour very much and this recording is a document of the relative handful of shows they did on what sounds like a horrifically mis-managed tour. For example, in the liner notes, then-touring bassist John Lightman reveals that at one point they drove all the way to Cleveland only to find out that a purported show at the Agora was not actually ever booked! You could just say no"
That Big Star survived as long as it did is largely a testament to Chilton's fortitude. He eventually gave out and up, the initial result being Big Star's third album often known as Sister Lovers or simply is called Big Star's Third. He then embarked on an erratic solo career (that is until The Posies emerged and helped put a new incarnation of Big Star back on the road with original drummer Jody Stephens... that version of the band existed until Chilton's sudden death in 2010). Just, ah, hold on... Hold on... Hold on... Hold on"
If you have the CD of the show from 1992 you're probably OK with it as the differences are subtle but palpable if you listen closely. There is also a CD quality version of it up on Tidal if you prefer streaming it first. Click here for that; it sounds pretty good too. Also, please note that this may be a different version of the recording than the new Omnivore edition so it may sound a bit more like earlier incarnations. Your experience may vary! 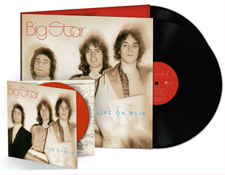 But really the bigger news here is that this reissue marks the first time Big Star Live On WLIR, is officially being released on vinyl. The new two LP set sounds quite a bit better than the CDs with fuller bass, richer drum sounds and more guitar-tone flavors coming through than the earlier CD version. The standard weight black vinyl is quiet and well centered and all the packaging seems top notch. Of course the question remains as to whether you "need" this album on vinyl given it is ultimately a raw radio broadcast with undeniable quirks that are inherent to the original recording. As an audiophile experience it has its moments but understand that there are shifts in mix quality including over-saturated, distorting volume levels at points. It is what it is and what it is about is the performance. 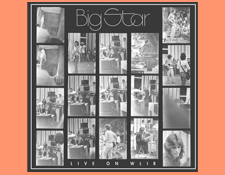 Big Star Live On WLIR is iconic and masterful. 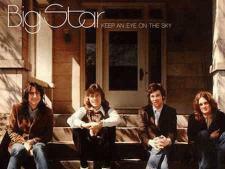 If you love Big Star and you love vinyl, you probably do need this release in your collection.